You haven’t experienced the best of the UAE until you embark on a road trip around this stunning country and encounter the sparkling beaches, picturesque mountains and mesmerising deserts. 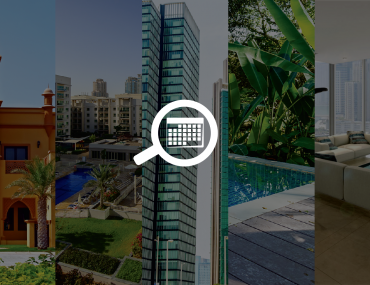 So pack those bags, find your favourite playlist and get ready to hit the road to explore the great wilderness with the best places for road trips in the UAE. One of the best places for road trips from Dubai, this exquisite, historic northern emirate is known for its beautiful mountains and amazing line-up of activities for adventure-junkies. Located at a distance of about 113 kilometres from Dubai and 300 kilometres from Abu Dhabi, Ras Al Khaimah is all about feeding your wanderlust with endless views of sand dunes and beautiful green stretches. A must for nature lovers, this city is the idyllic retreat from the hustle and bustle of the busier emirates of Dubai, Sharjah and Abu Dhabi. 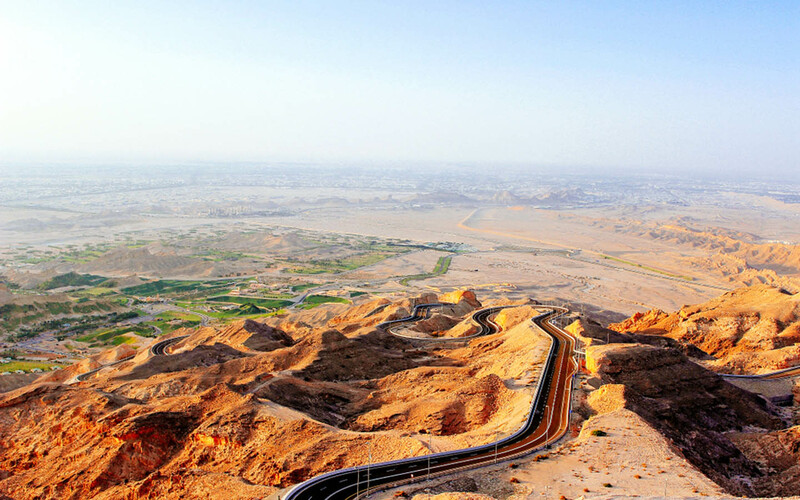 The scenic view from the breathtaking highway in Ras Al Khaimah. If you love a little adventure, you must visit RAK’s beach resorts and try the various activities offered there, including horse riding, paragliding, fishing and golfing. Since RAK is less about cosmopolitan city vibes, you can also enjoy the pure wilderness of the Arabian deserts with exclusive, authentic camps complete with sumptuous dinners. The emirate is one of the popular hiking spots in the UAE with Jebel Al Jais being the highest point in the country. Ras Al Khaimah’s great claim to fame, however, is the world’s longest zip line, the Jebel Jais Flight, where you can soar across the mountains in an aerial adventure unlike any other. If you want to try some of the popular things to do in Ras Al Khaimah, plan a weekend getaway to the charming emirate with your friends! One of the best places for road trips in the UAE, the scenic routes, spectacular views and surprise sightings of herds of wild camels makes Fujairah a perfect destination to explore with your friends and family over long weekends and public holidays. 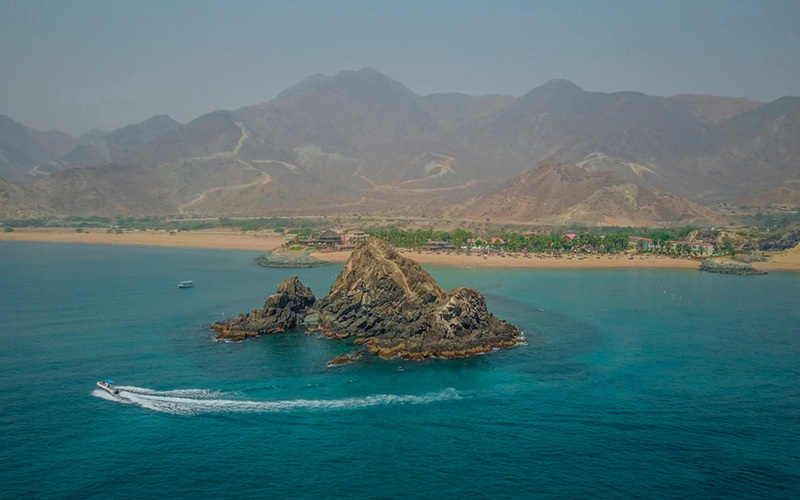 Located on the coastline bordering the Gulf of Oman, Fujairah is all about the sea; marine clubs, beach resorts, fishing, sailing, diving and snorkelling. 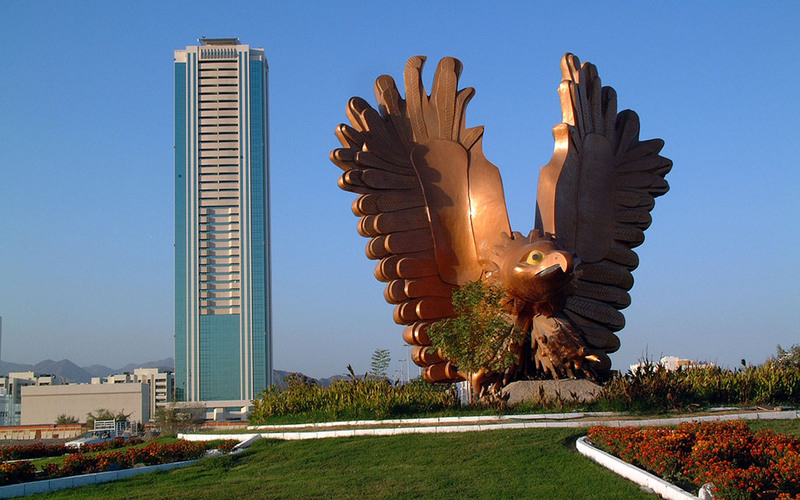 Statue of the famous golden falcon in the city of Fujairah. With some amazing 5-star hotels and beach resorts, Fujairah is one of the best places to embark on road trips during the weekend in the UAE. Snoopy Island, Sandy Beach and Khor Fakkan are havens for seaside retreats. Most resorts also offer interesting packages for guest to try out deep-sea diving, snorkelling and more. If a hike or trek seems more up your alley, you can explore the Wadi Waruyah in the Hajjar Mountains and see some of the most spectacular views from the ‘Grand Canyon of the UAE’. Explore some of the exciting activities in Fujairah that you could try on your next road trip to the emirate. Snoopy Island in Fujairah is the best place in the city for snorkelling, diving and boating. Al Ain is a well-known oasis in the middle of the desert. The city gets its name from the abundance of natural oases, lush greenery and springs which are complemented by a majestic mountainous backdrop. Al Ain is easily one of the most popular choices when it comes to scenic road trips in the UAE. If you decide to stay in the city for a day or two, there are several interesting places to visit in Al Ain to cater to all tastes. From exploring historic sites to being up close with wildlife in the Al Ain Zoo, there’s plenty to do in this charming town. One of the unmissable things to do in Al Ain on your UAE road trip is to check out Wadi Adventure, home to the world’s largest man-made white-water channels along with a super-sized surf pool. After your aquatic adventures, make your way to the nation’s first curated UNESCO World Heritage Site. It is located alongside a 3,000-year-old irrigation system which will leave you awestruck. If you are a fan of wildlife, don’t forget to include the Al Ain Zoo in your itinerary, where you can also experience a safari and see everything from lions, giraffes, deer and Arabian oryx up close! 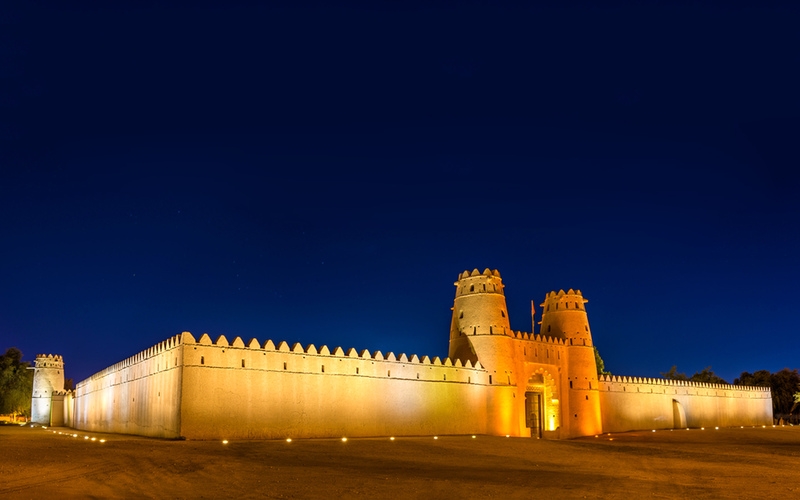 A view of the famous Al Jahili Fort in Al Ain – another famous tourism destination in the city. 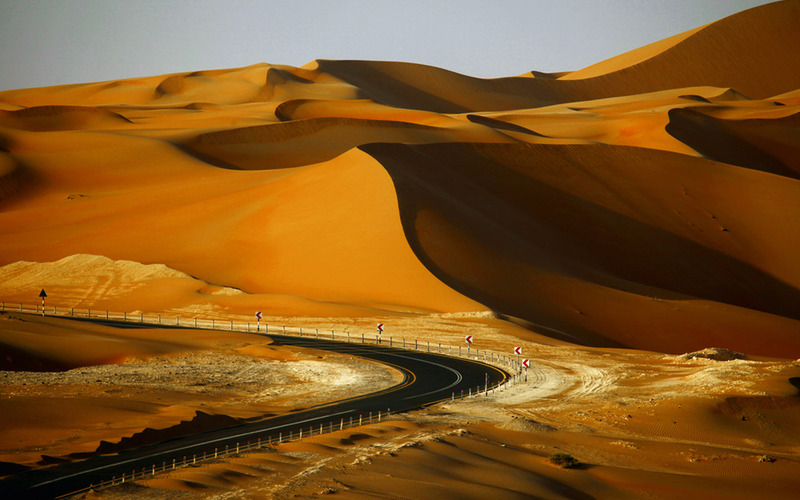 The spectacular view of the roads covered by the golden sand dunes of Liwa. Feel like zipping through the desert with your favourite tunes keeping you company on an endless road? The vast desert of Liwa is exactly the kind of scenic UAE road trip that you are looking for! Known as the ‘Empty Quarter’ Liwa is a desert settlement located 220km from the main centre of Abu Dhabi and about 100 miles to the south-west of the capital. History buffs, culture vultures and adventurous souls would love to explore the forts, heritage sites and 300-meter high sand dune called Tal Mireb. One of the best times to plan a road trip to this destination in the UAE is during the Liwa Date Festival. It involves the celebration of traditions and customs related to the indigenous date palm tree. Liwa Oasis is another location in the area which you definitely shouldn’t miss out on. The villages appear as a series of dots along the routes, which movie-buffs will recognise as the location where the much awaited Star Wars: The Force Awakens was shot. The Qasr Al Sarab Desert Resort and Liwa Guesthouse are popular options for desert getaways in the area. 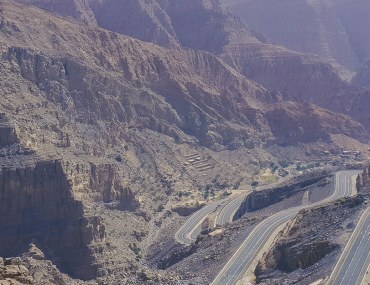 A panoramic view of Hatta Dam – on the foothills of Hajjar Mountains. 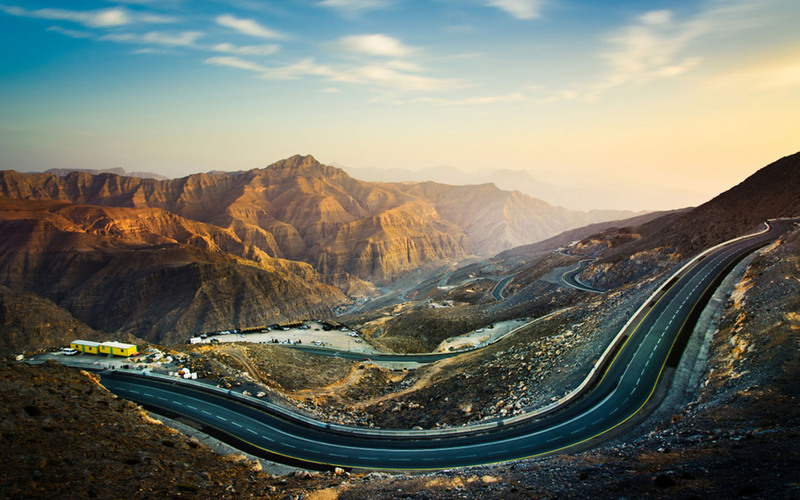 Located on the Oman border and a short drive from Dubai, a road trip to Hatta is one of the most time-honoured ways of celebrating long weekends in the city. Striking mountains, gorgeous natural pools, kayaking trips, beautiful picnic spots and quaint hotels and resorts, make road trips to Hatta the perfect way to relax and unwind. Resting at the foothills of Hajjar Mountains, this charming little town is known for the Hatta Dam, where you can kayak, paddle-board or swim in the sparkling turquoise waters. You can also check out the Hatta Heritage Village which dates back to almost 3,000 years; a goldmine for explorers. 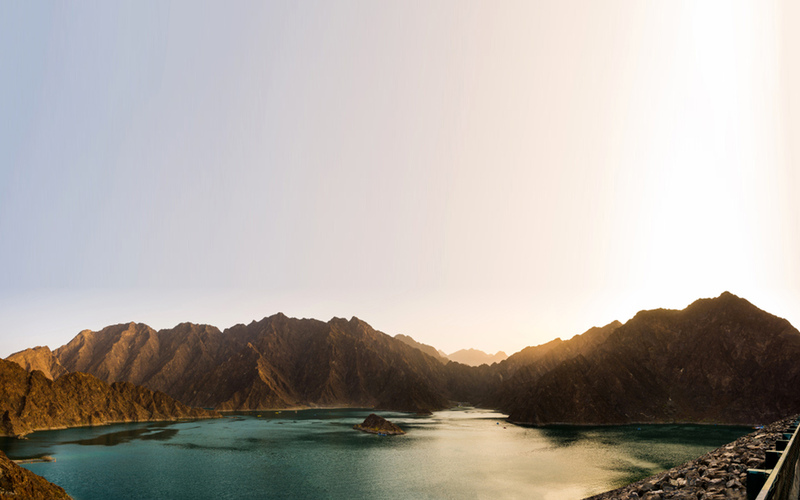 Poised to become a huge eco-tourism destination, Hatta is also home to the Meraas development of Wadi Hub Centre, where you can try out some adventure sports. Hatta is one of the most popular road trip destinations in the UAE, with unmatched mountain views and a spectacular winding route that will definitely invoke your sense of adventure. Being a popular tourist spot, there are also a lot of things to do in Hatta, which you can enjoy with friends and family. Dibba: An incredible beachside destination towards the UAE’s east coast with mountains on one side and the blue sea on the other. A perfect spot for diving, visitors to Dibba also often take dhow cruises into Musandam. Jebel Akhdar: Not actually in the UAE, this awe-inspiring mountain range is located in Omani Hajar Mountains and has been known as the Pearl of Islam for many centuries. Filled with antiquated forts, explorations sites, traditional marketplaces and a row of exquisite summits, Jebel Akhdar should find a place in your list of road trips from the UAE. 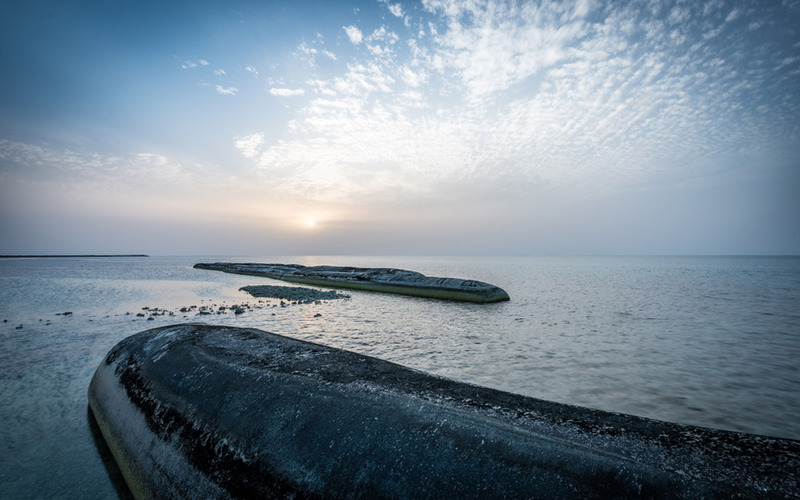 Sir Bani Yas Island: Combine your road trip with a ride on the ferry to explore this beautiful island in the capital. Home to a wildlife sanctuary and some upscale hotels and resorts including the Desert Islands Resort & Spa by Anantara, this is an idyllic retreat away from the bustle of the city. 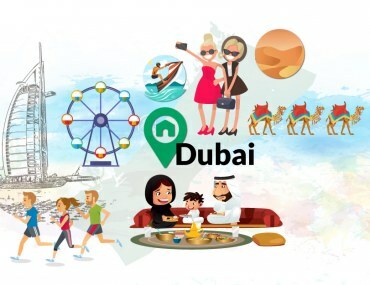 So are you ready to hop into your vehicle and cruise through the sand dunes, drive past the skyscrapers and make relaxed rest stops on your way to these awesome destinations for road trips in the UAE? MA has a Bachelors Degree in Metallurgical Engineering but writing was always her true calling. Ignoring the impulse to follow the obvious career choice, if she is not writing then you'll definitely find her knee-deep in a Marvel movie.